The IRGC commander says the US was ready to attack Iran in mid-2000s, but they didn’t dare to invade the country. 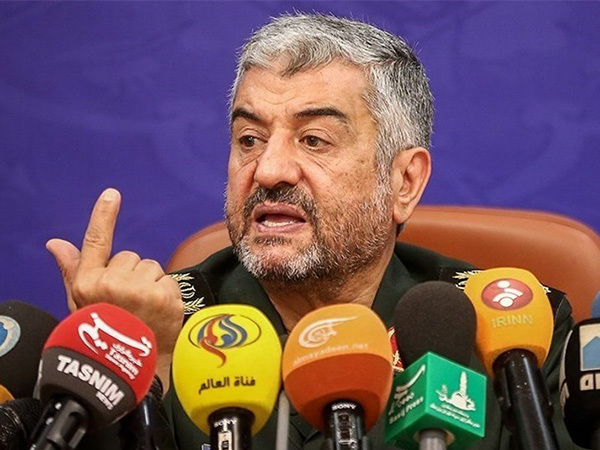 “From 2005 to 2007, Iranian military forces were on standby as the country was likely to be attacked,” Commander of the Islamic Revolution Guards Corps (IRGC) Major General Mohammad Ali Jafari said on Tuesday. However, he added, the Americans felt the smell of defeat [and didn’t attack Iran] because of the lesson they had learned during the Iran-Iraq war and also due to their fear of Iranians’ spirit. According to a report by Tasnim, as translated by IFP, the top commander made the remarks at a cultural ceremony in Iran’s northeastern city of Bojnourd. Elsewhere in his remarks, he noted that there is detailed evidence that the Al Saud regime is working in cooperation with the Zionist regime of Israel to hatch plots against Iran. The Saudi regime is involved in conspiracies against Shiite countries, including Iran, “Saudi Arabia is trying to create division and insecurity in Shiite countries, but, by God’s grace, has failed to do so thus far,” Major General Jafari added. Touching on the tense situation in Syria, the commander said the enemies created the ISIS terrorist group and killed a huge number of both Shiite and Sunni Muslims. Today, however, the adversaries have realized that they “need to rely on Iran to settle Syria’s problems and war”, something acknowledged even by American analysts, he added.